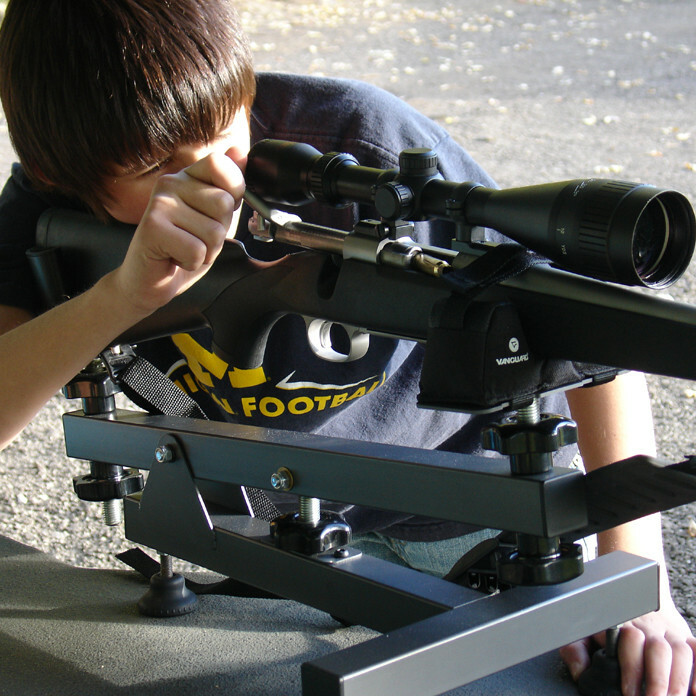 The Vanguard Steady-Aim Gun Rest simplifies sighting in weapons or performing routine cleaning and maintenance. It has a heavy duty 1.5-inch steel construction and smooth precise micro elevation adjustment. The large central elevation adjustment dial provides a -5 to +20-degree angle range of movement getting users on target in almost any range position. An anti-vibration bag securely holds a rifles forearm and leather sling cradles the stock. Anti-slip rubber feet convert to spikes for on-the-ground shooting.